Planning a holiday vacation or taking a trip to visit family and friends? Before you book your lodging, make sure you’re not missing out on any military hotel discounts. Whether you are traveling now or sometime in the future…going away for a day or a month…you and your dependents may be eligible to receive special savings — and qualifying for your discount is usually as simple as showing your military ID. 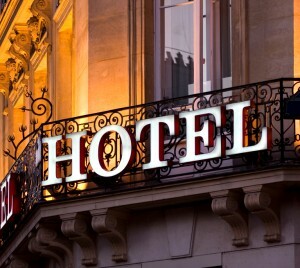 The following list includes some of the larger hotel chains that offer discounted military rates, although many independent hotels, motels, and bed and breakfasts also provide savings to active duty servicemembers. When making your reservation, don’t forget to ask if you qualify for any military discounts and bring your military ID with you. Best Western – Best Western hotels offer discounted rates for military personnel traveling for business or leisure. The rates are based on U.S. government per diem for government employees. Choice Hotels – Over 2,700 participating Choice Hotels properties around the world offer special discounts to military travelers and their dependents. The company also has established the Choice Privileges Armed Services program for U.S. active duty or reserve military members, retired military, National Guard, U.S. Coast Guard, and eligible spouses/dependents. This reward program automatically puts the member at Elite Gold status which includes 10% point bonus on all eligible stays and other exclusive member benefits. Choice Hotels properties include Comfort Inn, Comfort Suites, Quality, Sleep Inn, Clarion, Cambria Suites, MainStay Suites, Suburban Extended Stay, Econo Lodge and Rodeway Inn hotels. Disney Hotels – Select rooms at Disneyland and Walt Disney World resort hotels are available at a discount to active or retired members of the U.S. military including the National Guard, the U.S. Coast Guard, and Reservists. While the offer is valid for most nights until September 27, 2014, there are some blackout dates. Hilton – Participating Hilton hotels & resorts are offering active and retired military and their families exclusive 10% savings off leisure Bed & Breakfast stays. Book by March 15, 2015. InterContinental Hotels Group (IHG) – Military personnel can enjoy discounted rates at participating IHG hotels including InterContinental Hotels & Resorts, Holiday Inn Express, Crowne Plaza, Hotel Indigo, Candlewood Suites, Staybridge Suites, and IHG Army Hotels. There are over 3,000 participating hotels worldwide and discounts apply to short-term and long-term stays. La Quinta Inns & Suites –The La Quinta Returns Military Rewards program offers exclusive benefits to active or retired military (and spouses) including 12% off the best available rates, instant La Quinta Returns Gold Status, 2,000 bonus points after the first stay, and more. La Quinta is known for its support of military families and has a military-focused blog and a page that makes it easy to find locations near military installations. Marriott – Marriott hotel properties, including Marriott Hotels & Resorts, Residence Inn, The Ritz-Carlton, Courtyard, SpringHill Suites, and Fairfield Inn & Suites, offer special federal government rates to U.S. military personnel. Motel 6 – Active and retired military servicemembers and their families can receive a 10% discount on all rates. Starwood Hotels – Starwood Hotels & Resorts Worldwide, Inc. offers active duty servicemembers government rates. These rates are available at select W, Westin, St. Regis, Four Points, and Sheraton hotels. Wyndham Hotel Group – Active duty military members can take advantage of discounted government employee rates that fall within the allowable per diem including appropriate taxes. The Wyndham Hotel Group includes Wyndham Hotels & Resorts, Wingate, Days Inn, Super 8, Howard Johnson, Travelodge, Knights Inn, Ramada, and more, and has over 7,000 locations worldwide. All discounts require presentation of your military ID.